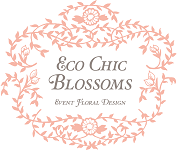 At Eco Chic Blossoms, our greatest distinction in the industry is that of the vast personalities and styles our team cultivates. The free-spirited nature of our shop allows us to embrace our true selves. Some of us chic with our attire and bubbly in personality, while others have more of an edge with dress and bold charisma. These vast differences amongst the four of us however, strengthens our individuality, giving us an identity you simply cannot put under one label. They say your vibe attracts your tribe and we wanted to be sure that those venturing for a florist knew Eco Chic Blossoms was anything but traditional. With that, we decided to have a unique photo shoot capturing the diverse vibes, styles and personalities our team encompasses. Kristy, the owner of ECB always envisioned a VW van in her life's travels and decided this would be the ultimate wow factor for the photo shoot. And so, her quest began looking for what we thought would simply be, the perfect addition to the shoot. What we didn't know at the time though, a missing component in our eclectic crew would soon be filled. On her pursuit through Wilmington and its surrounding beach towns, Kristy found Scott, owner of a pristine vintage powder blue VW van. Scott was in it from the get-go after hearing about Kristy's passion for the VW vans and before we knew it we all gathered at Ft. Fisher for what would be the beginning of a beautiful journey. As Scott pulled up, he could see the star-struck, glossed over, gazes on all of our faces. There she was, perfect, pristine, Viv the V-Dub, in all her vintage glory. The four of us nestled in the van, laughing, dreaming and envisioning of what could be. Scott soon after realized he could make this dream a reality. Scott always said he would never sell his van, this is until he met Kristy. A few weeks later, there they were exchanging the keys of Kristy's Jeep Wrangler for Scott's Volkswagen van. It was a deal of a lifetime. One of the most important aspects of our brides' experiences is establishing a genuine connection as we celebrate their wedding day, a day that will be remembered for many years to come. With Viv, we are now able to creatively showcase our passion for a natural, organic floral design. Plus, who wouldn't want their florist showing up in a awesome old school VW van?! It's good vibes all around which is a must, especially on your wedding day! While the flower crew's originality radiates not only in the shop but while traveling to and from setting up our assortments of weddings and events, it seemed one very important component had been missing in these flower adventures. We are incredibly grateful to welcome Viv the V-Dub into the ECB family. Keep on the lookout in Wilmington and its surrounding areas for the flower chicks hopping in and out of the V-Dub, frolicking to events, flower arrangements in hand, doing what we absolutely love. Buddy Holt - I am so amazed at the vision, talent and passion Kristy has for her business. She has built it from the ground up and been so successful because of thinking outside the box. I can’t believe this is my daughter-in-law (DIL)!!! GRAY HOLT - AWESOME JOB LADIES! AND VIV! Bernadette carr naab - Awesome ladies, love the v dub viv! So cool. Hope you have a great wedding season! Lots of fun!